Samsung released a series of mobile phones and tablets named starting from Samsung Galaxy like Samsung Galaxy S3, Galaxy S2, Galaxy Tabe, Galaxy Note, Galaxy Ace and the newly launched Samsung Galaxy S4/S5/S6/S6 Edge/S6 Edge+. 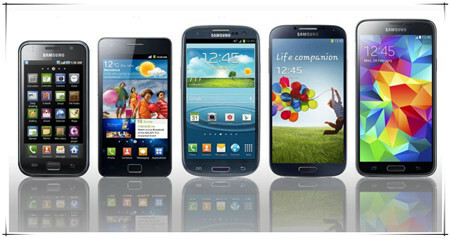 Samsung Galaxy phones and tablets are big success with advanced features. Why Samsung Galaxy S4/S3/S2/Tab/Note/Ace can’t play MP4? The fact is Samsung can play most of MP4 files. Several special MP4 videos will not be played as MP4 is a container video format which may encode with a variety of codecs like H.264, MPEG-4, Xivd, DivX, MPEG-4 ASP etc. or with subtitles or multi-channel audio tracks. As MPEG-4 AVC H.264 codec, support is limited to the required specifications. If your MP4 files are using audio and video codec that Samsung Galaxy cannot support or your MP4 files cannot meet the supported specifications of audio and video codec, your Samsung Galaxy phones or tablets will fail to play MP4 files. Even you download different Android video player, they still fails to play. How to successfully play MP4 on Galaxy S4/S3/S2/Tab/Note/Ace? In order to play MP4 on Galaxy S4/S3/S2/Tab/Note/Ace smoothly, a better solution is to convert MP4 to Samsung Galaxy supported MPEG-4 video with require specifications. Here you can depend on Pavtube Video Converter, it can help you finish your task in a few mouse cilcks. This program ensures maximum editing quality and efficiency. What’s more, the additional video editor enables you to personalize videos before conversion. If you are running on Mac operating system, you can refer to the equivalent version- Pavtube Video Converter for Mac. Step 1: Download and have a quick installation. The trial version will have a watermark on your converted files. Except for that, there are no time limitation, no virus, and no unnecessary bundle apps while downloading. After that, click “Add Video” button to load your MP4 files. You can load several files at once thanks to “Add from folder” button. Step 2: Here, you need to choose what you want the output to be. Click “Format” drop-down list, and then select output video format from the powerful converter. Here, you’d better choose “Common Video>>MPEG-4 Movie (*.mp4)”. Step 4: Click “Convert” button to start the conversion work. You can get the generated files by clicking “Open” button. Conclusion: If you don’t want to wait for the entire conversion process, you can tick off “Showdown computer when conversion completed” and go away to do other things. How to Play 720P/1080P HD Video on Sony Xperia Z5/Z4/Z3/Z2/Z1?